4th International Conference on Internal Medicine & Hospital Medicine : Vydya Health - Find Providers, Products. 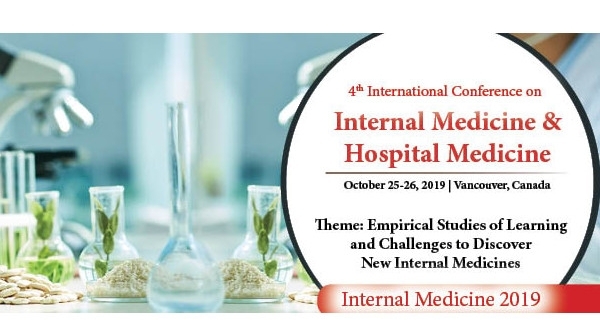 Conference Series LLC Ltd is bringing forth 6th International Conference internal Medicine and Hospital Medicine (Internal Medicine 2019) scheduled to be held during. 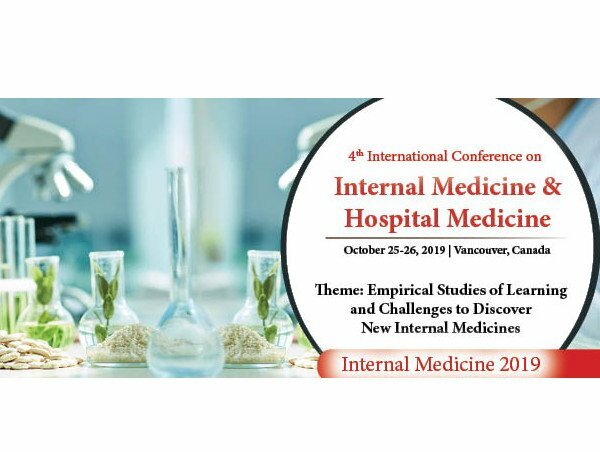 October 25-26, 2019, Vancouver, Canada. The conference invites all the participants across the globe to attend and share their insights and convey recent developments in the field of Health Care and Medicine. Internal medicine is a multidisciplinary field, interesting and interactive scientific sessions have been designed accordingly for this conference which includes the diagnosis, care and management of different acute and chronic medical conditions, comprises of various medical specialties such as cardiac health issues, brain disorders, digestive diseases, blood disorders, respiratory diseases, different types of cancers , immunological and infectious diseases, basically all minor and major health issues which requires short and long-term, comprehensive care. Deans, Departmental chairs, Vice Deans, Presidents, Vice Presidents of Medical Universities, research Institutes, and Hospitals. Professor and student’s, from academia who are in the field of medical and clinical research. Physicians and Physician assistants, Director’s, Manager’s and Business Intelligence Experts, Departmental Managers / CEOs.